This extra warm, machine washable Fleece throw blanket is Super Soft and Super Cool! 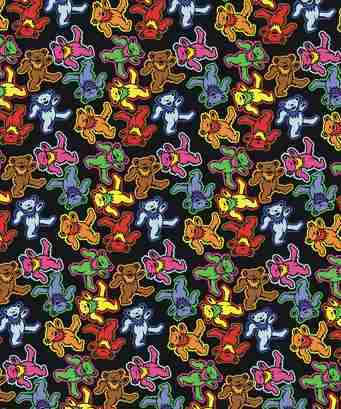 This officially licensed Grateful Dead Dancing Bears blanket can be used as a throw or even as wall decor! This product measures approximately 50" x 60".